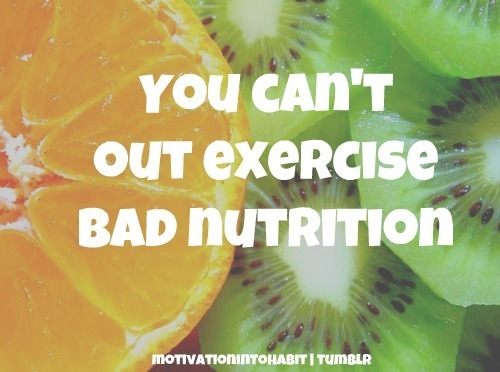 And even if you eat junk food and workout like crazy, you may appear healthy, but your insides aren’t! Think about it long and hard-how do you really feel? Does your body feel good? Are you still having other issues that exercise isn’t “solving,” like GI issues? Think about it! This entry was posted in Randoms and tagged Exercise, Nutrition by livinglikelinds. Bookmark the permalink. Amen to that, my Paleo sister!! !